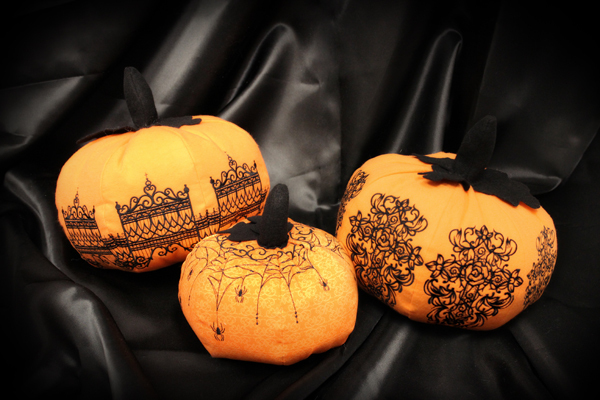 Being familiar with soft sculpture techniques will help you create these pumpkins but they are also a great way to experience how soft sculpture transforms a stuffed item. 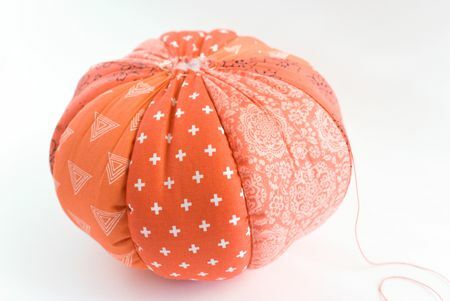 And as you can see, there will be some variations in sizes and shapes due to how the “pumpkin” is stuffed or pieced. 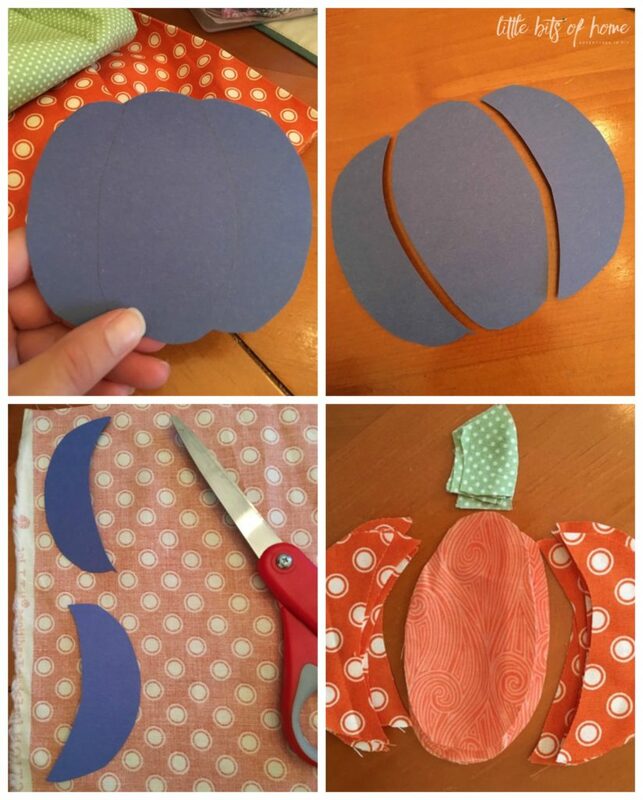 The small pumpkin section should measure about 8″ long and the large pumpkin section should measure about 11″ long, however, the sizes don’t need to be precise. 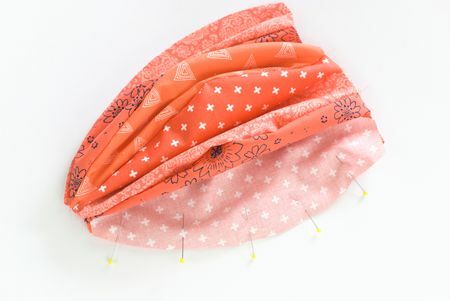 All directions refer to using 1/4″ seam allowances. Thread a needle with VERY strong thread. 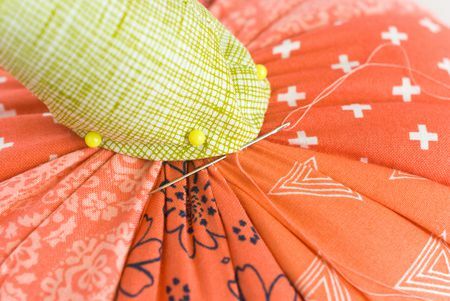 Leave a 6″ tail on the thread by knotting (large knot) the thread at least 6″ from the end. 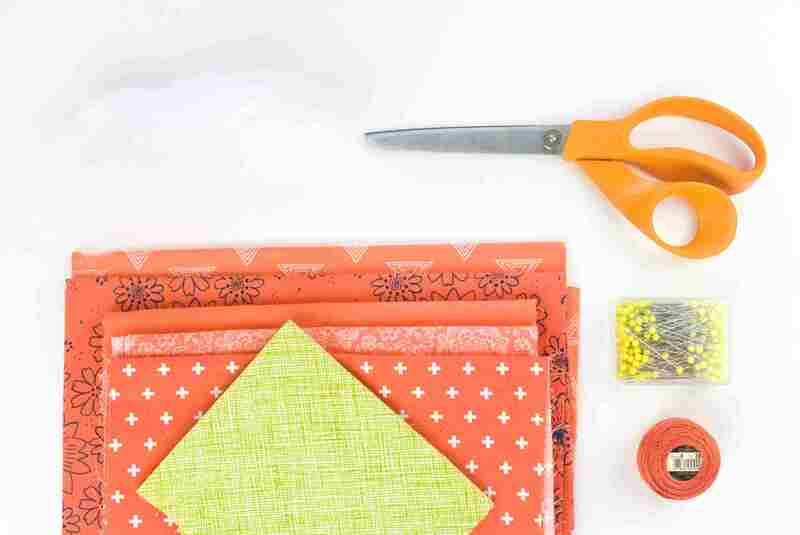 Make a running stitch around the top opening. 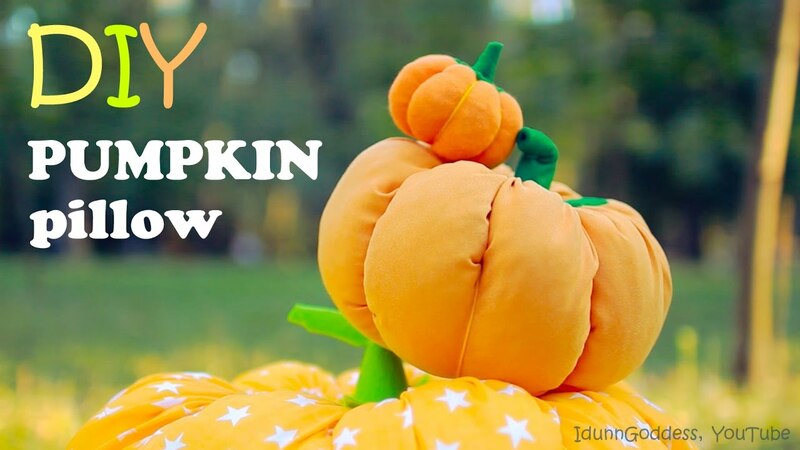 These pumpkin pillows look great paired with other autumn pillows on a sofa or overstuffed chair, and they also work for making a table centerpiece. 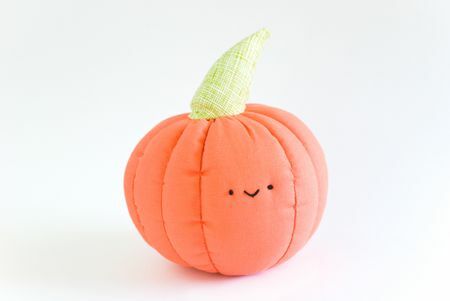 They’re even fun for kids to have a soft pumpkin to hug or snuggle with. 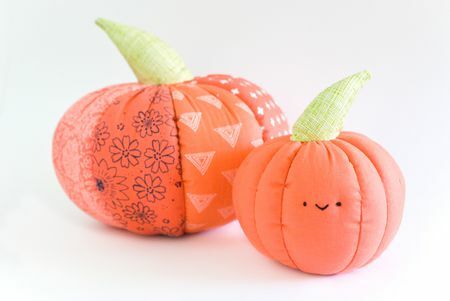 They don’t take long to make, so you can grow a patch full of stuffed pumpkin pillows!